If you watch any of my new companion videos for the Gaelic Blessing quilt, you will see something new. What is it? I created a set of companion videos with tips and demonstrations to go along with the Gaelic Blessings quilt. 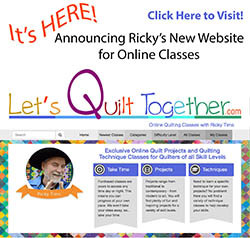 Let's have some fun and make the quilt together! 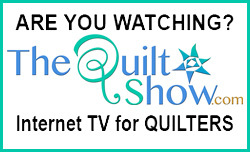 The videos are in the Classroom at TheQuiltShow.com. The classroom is free, but you do have to be a TQS member, either a Basic Member (free) or a Star Member (premium) to access the videos. Just login to watch. Click the image above to watch the introductory video on YouTube. Patterns and kits are available now! - a 25% savings and the pattern is included FREE! 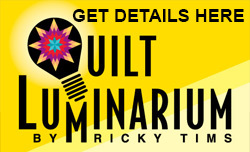 Patterns and Kits available at www.rickytims.com.